My passion for running started at Marshall Middle School in Olympia, Washington—I ran a mile in 5:02, which became the school record that year. I continued to run throughout high school, and our team even won the state championship in cross country. When I left for college at Western Washington University in Bellingham, Washington, I chose to focus less on running and more on economics, art, and surfing. In my junior year, I got the opportunity to teach pottery in Thailand for a quarter, and while I was there, I was able to travel around. So after teaching, I hopped on a train to Singapore, rode a boat to Batam Island, and boarded a plane over to Padang, West Sumatra. There, I met a local Indonesian kid that could speak English. He took me on a public fishing boat to the Mentawai Islands, which are known for being one of the best places in the world to surf. I lived in a little hut on the island with the local people who spent their days extracting coconut oil and selling it on the mainland. After Indonesia and graduating from Western, I moved to Hawaii for a year to continue surfing and living the dream. However, I knew surfing wasn’t the only thing I wanted to do for the rest of my life, so I moved back to Washington. One evening, during dinner with my parents, two sisters, and brother, we were chatting about how they had all hiked Mont Blanc in France. Surprised that I—one of the most adventurous of the bunch—had never done this, I decided to make it happen. 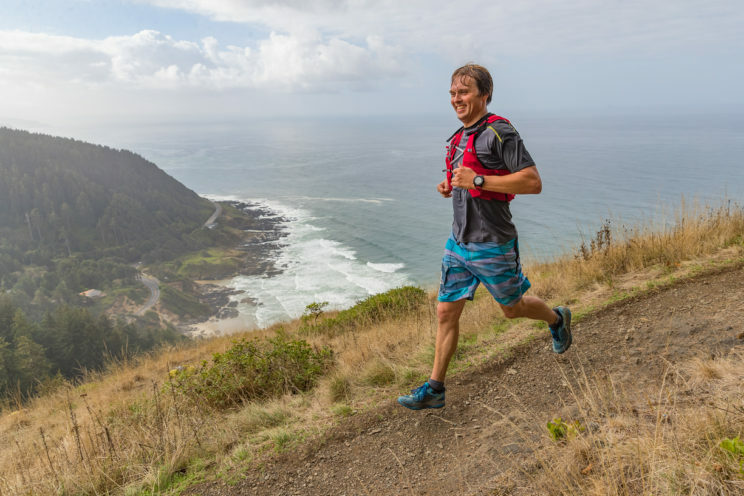 Scott running a marathon on the Oregon coast. race, I decided I wanted to run it. Ultra-Trail du Mont-Blanc (UTMB) is one of the largest trail races in the world for ultra-distance with over 30,000 feet of elevation gain. 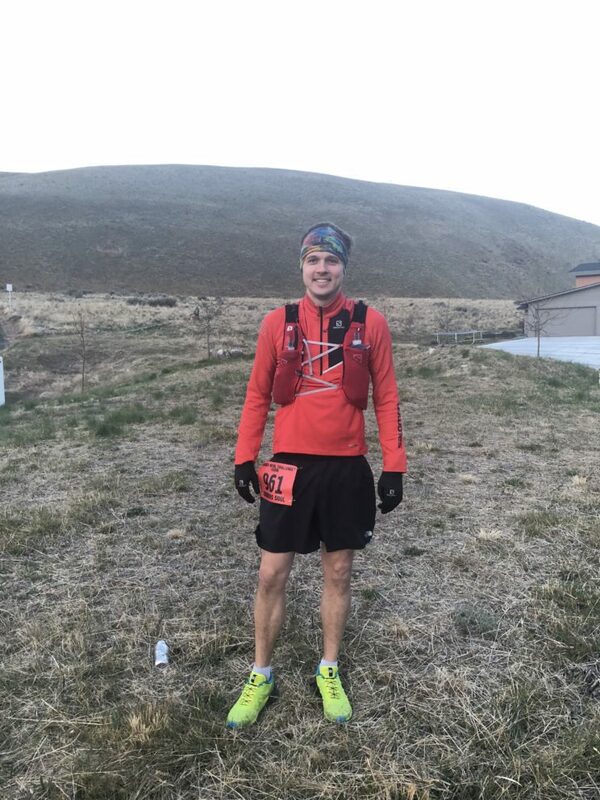 I figured out what I needed to do to participate, and that’s how I ended up running my very first 100-mile marathon in March of this year. Naturally I had to train for the long distance, so I started with a few “small” races. I competed in one around Mount Saint Helens, entirely on the Loowit trail. Another on the Oregon coast running the beach and coastal mountains. In November, I did a 50-miler at Smith Rock down in Bend, Oregon. And then I continued to train hard through the winter. I ran nearly every day or night, rain or shine, headlamp or not. Scott at the start of his first 100-mile marathon. pretty cool to be able to say I ran 100 miles in less than a day. I still have another 100-mile race ahead of me in September, which should give me enough points to enter for the race in France. who want to do everything. But I also understand that you have to be focused and committed in order to do all those things. My job is to get to know my customers, listen to what they want, and figure out a way to help them get there. Life is a journey that is much longer than an ultra-marathon. I want to help people ring the bell at the finish line and get “spit out of their metaphorical barrels” (a surfing term). So let’s do this thing called life the right way! 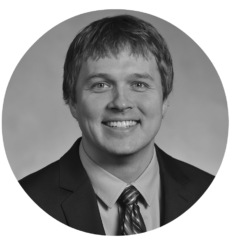 Scott Michie is the branch relationship manager at Heritage Bank in Tumwater, Washington. Scott started at Heritage in 2006 as a float teller in downtown Olympia. He worked his way up from a teller to assistant manager to his current position.